Want to Invest in Your Child's Future? Do you want to give your child an enhanced education? What if you could give your child's school the gift that keeps on giving? What's in the gift box? It is definitely not toys or cookies. It is a subscription to GrantWatch.com for your child’s school. A great education needs funding; and by giving a subscription, your child's school could benefit from millions of dollars in funds available through grants! To search for other relevant grants, check out GrantWatch.com today! Only a subscription will allow you to view each grant in its entirety and understand all the requirements before applying. There are multiple pricing plans available. We suggest an annual subscription of $199. You may be aware that searching for grants, applying for them, and waiting for your application, can be a lengthy process. A year-long subscription will maximize the school's ability to search for, apply to, and await each grant. Remember, it is your child’s future in which you are investing. Depending on the grant, funds may be allocated to a number of different areas. For example, a grant could focus on enhancing math and science education. Imagine more technologically-advanced, computer-mathematics programs, or a new science lab at your child’s school! Improved education pays priceless dividends. 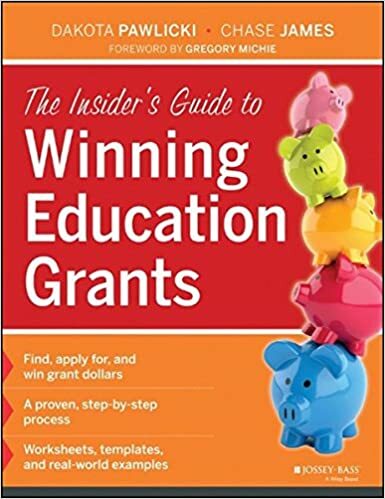 To refer to a step-by-step process for applying to grants, check out this book: The Insider's Guide to Winning Education Grants. Not only does this book inform readers about grant writing basics, it includes reliable sources for funding education. Just imagine the possibilities! With an education, bolstered by grant funding, in math, science, or arts, your child will grow up with access to the best programs and technology. They will also develop critical learning skills, and be able to appreciate different cultures with deeper understanding. Give your child's school the gift that keeps on giving. Get your child’s school a subscription to GrantWatch.com today! For questions on how to subscribe to GrantWatch.com, call our grant specialists at (561) 249-4129.